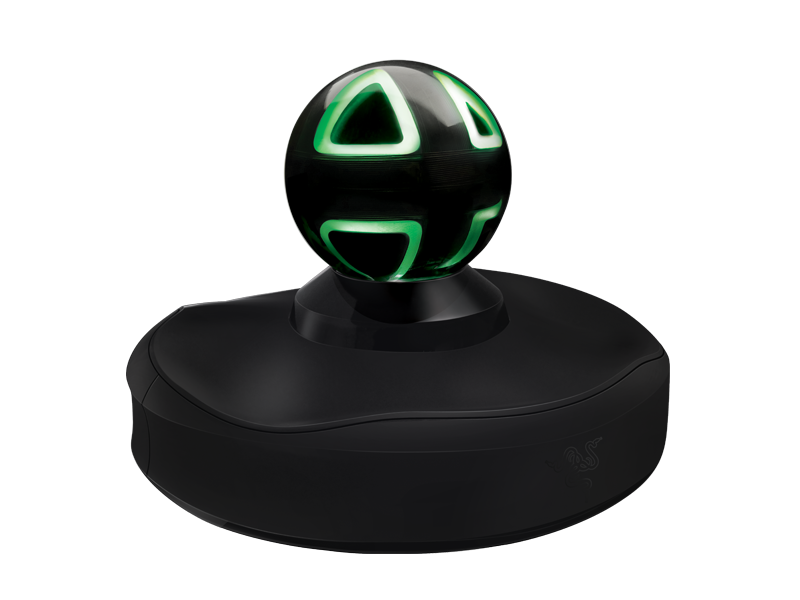 Using magnetic motion sensing, the best available technology of its kind, the Razer Hydra’s compact base station can compute the exact location and orientation of controllers in your hands, down to a millimeter and degree. 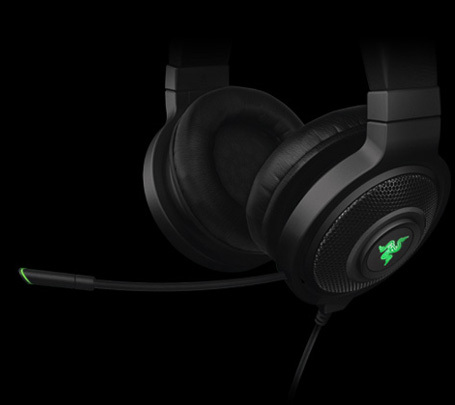 Combined with Razer-grade ultra-low latency, you get a fluid and unhindered experience that’s accurate and precise, like a mirror reflection of you in the game world. 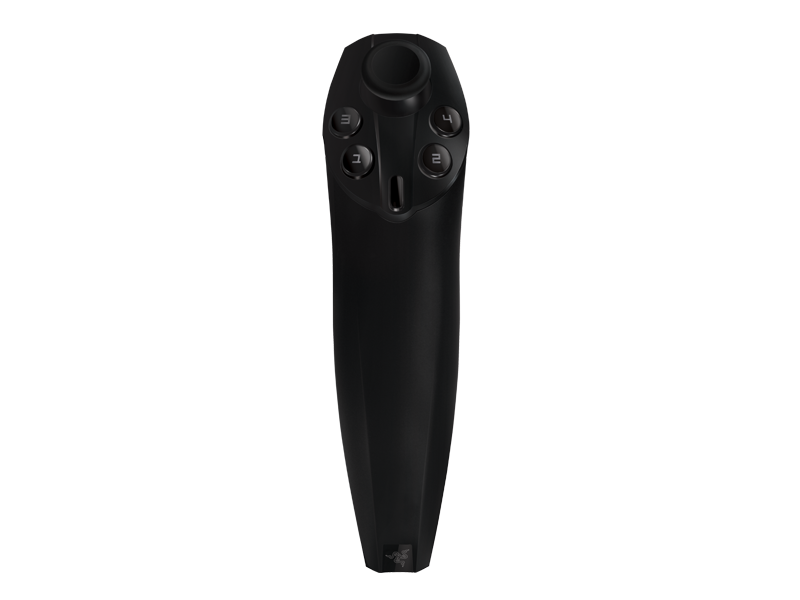 Play your PC games in a new way with motion sensing controllers that take you deeper into the game world by letting you interact and move in complete three dimensions. Attacking with your weapon of choice at any precise angle or throwing a grenade with the right force becomes as easy and intuitive as picking up your mobile to make a call. 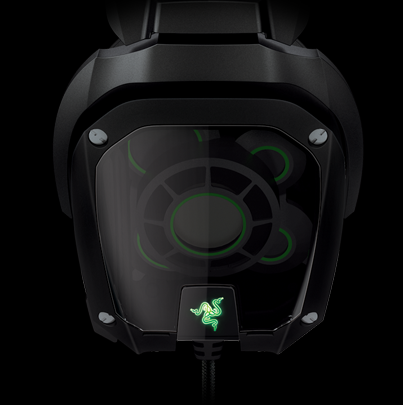 Apart from Portal 2, the Razer Hydra is optimized for over 125 popular PC games right out of the box. 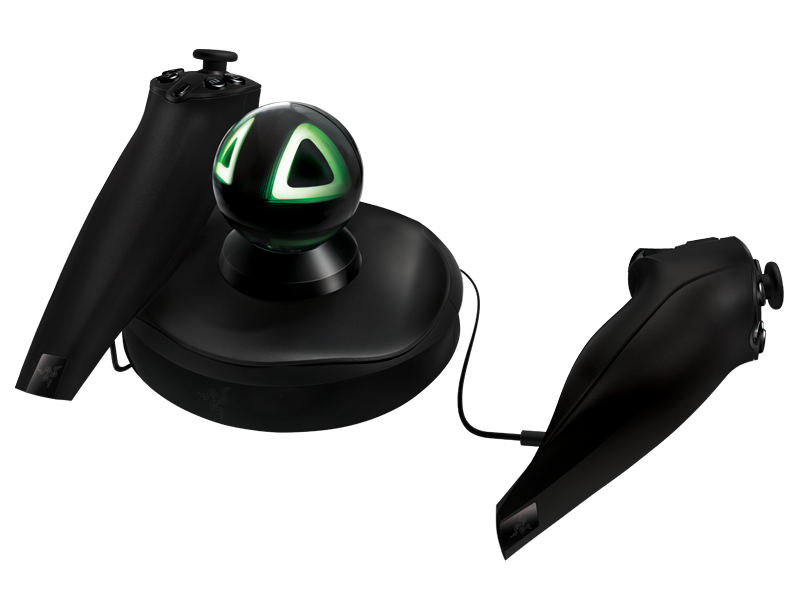 No more waiting for scarce motion-compatible games. 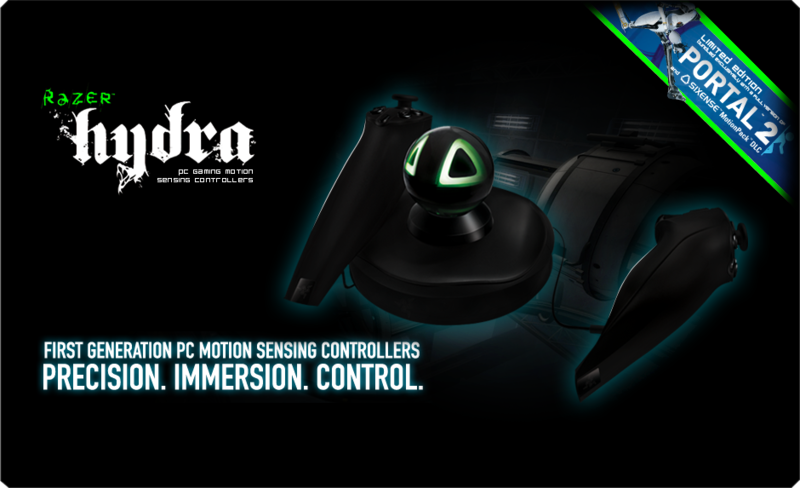 And with the future possibility for more downloadable game configurations and the ability to self-configure motion mapping to your specifications, the Razer Hydra is a versatile monster that plays virtually every game. Surround Sound describes the method of channelling sound that envelops the user in a 360 degree arc, positioning sound sources accurately in relation to the user. This is especially useful in multiplayer first person shooters where proper sound placement can help you identify friends, foes and situations within the environment. Audio devices produce two types of surround sound: Discrete or virtual. 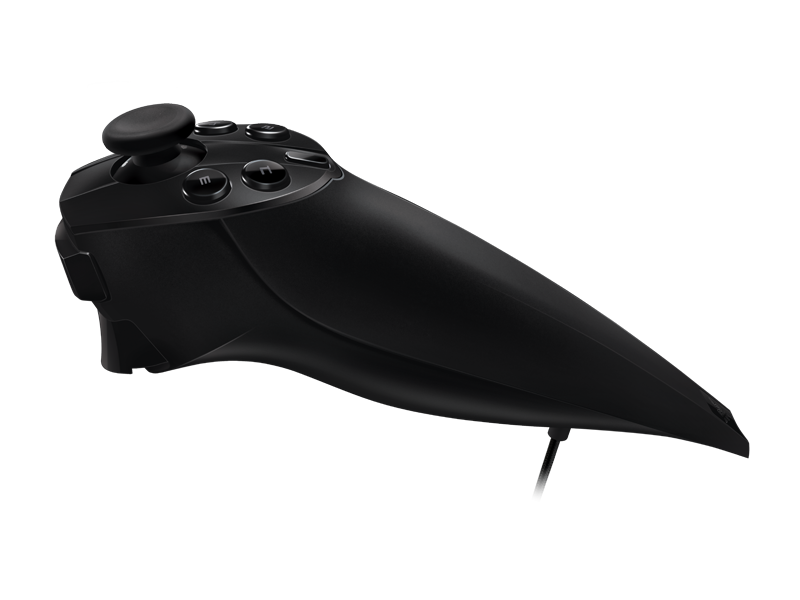 Using multiple speakers in a system or multiple audio drivers in each ear cup of the headset, positioned at different angles, discrete surround sound lets gamers hear audio in realistic 3-dimensions as they would in real life. 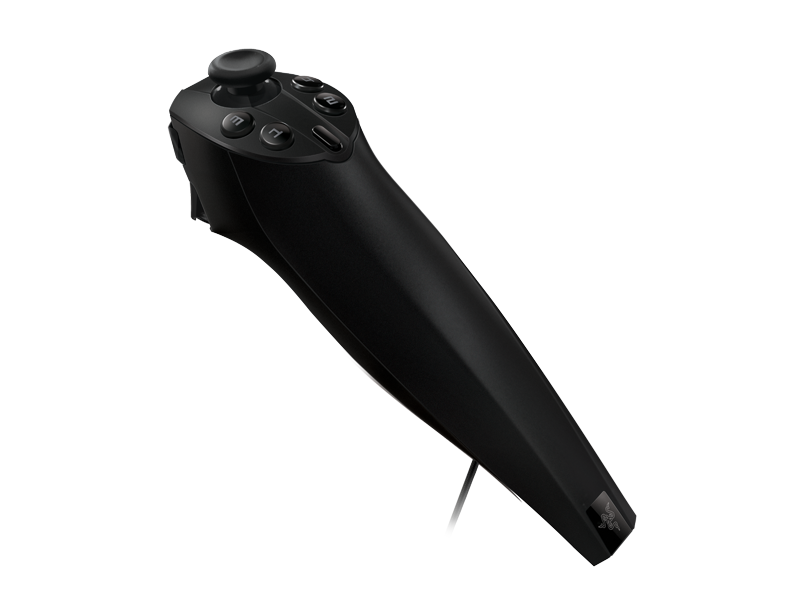 Discrete surround sound makes for immersive gameplay as it accurately represents how your character perceives the audio of the game world. Virtual surround sound can be found primarily in headphones that use only two drivers and complex audio processing algorithms to simulate the effect of having multiple audio drivers. These headsets utilize internal or external amps and software engines to divide surround sound audio into distinct, separate segments, effectively reproducing a surround sound spectrum with just 2 drivers.